In this article, we will talk about different scenarios to repair the SQL Server when the error 5171 occurs and different alternatives to solve these problems. SQL database corruption is generally coming with several problems. These problems affect database availability and performance on a high scale. The level of corruption in the database decides upon the actual chances of recovery and how you can effectively resolve the issue averting every risk of potential data loss. Taking a particular case, you may encounter an SQL Server login failure or may run into a situation wherein you are unable to restore MS SQL database files. Another issue could be that you cannot create ‘tempdb’ database or every time you try to attach your database, you are unable to do so. This error primarily occurs due to invalid registry entries, power problems, virus infections or damaged drivers. The scenarios discussed below are very likely to cause SQL error 5171. If you do not have a backup, or if the backup is corrupt, you may need to follow different steps to recover your data. We will explain 2 different corruption scenarios in this article. Imagine that you have mirrored databases. Suppose you have MS SQL Server 2016 installed in your system. While using a mirrored database, you attempt to set your database online by executing the following command and receive error 5171. 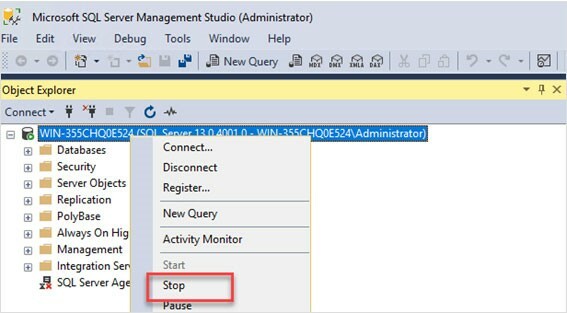 Restart the SQL Server and then attach the database files. Unfortunately, you will surely lose database mirroring after the process. You will need to configure the database mirroring again. As a resolution to the above problem, you can use ‘sp_attach_db’ for attaching the database. However, this method won’t work, if you do not use ‘sp_detach_db’ for detaching the same database. This procedure detaches the database mydb. Another possible remedy is to use ‘CREATE DATABASE’ command with the ‘FOR ATTACH’ clause. We create a database named mydb and me specify the data file and log file including the path. Finally, we use the FOR ATTACH option. If problems still persist, you can use Stellar Repair for MS SQL to resolve and repair SQL error 5171. Stellar Repair for MS SQL is a comprehensive tool that embraces a multitude of powerful repair mechanisms to effectively recover every lost, deleted or inaccessible object from the damaged SQL database. The software allows performing a precise recovery of tables, views, queries, stored procedures, indexes, user-defined functions, unique keys, foreign keys, Identities, Defaults, default constraints and User Defined Data Types. Moreover, it supports the latest SQL Server versions, including MS SQL Server 2017, 2016, 2014, 2012, 2008, 2005, 2000 and 7.0 and mixed formats. In this article, we learned that the database can be corrupted in a database mirroring and when we attach a database in an upgraded SQL Server. We learned how to repair the database using SQL Server and using Stellar Repair for MS SQL. This software is easy to learn and saves a lot of time. Priyanka is a technology expert working for key technology domains that revolve around Data Recovery and related software. She got expertise on SQL Database. Loves to write on different technology and data recovery subjects on regular basis. Technology freak who always found exploring neo-tech subjects, when not writing, research is something that keeps her going in life. 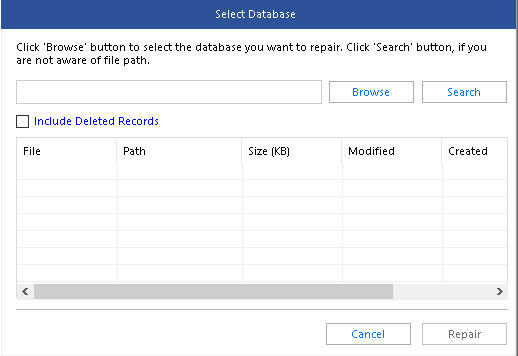 MS SQL Database Recovery – Blog Copyright © 2019.